On October 1, Canada announced that it had reached an agreement with United States and Mexico after a year of renegotiating NAFTA. Renamed the Canada-United States-Mexico Agreement (CUSMA), the agreement will provide trading partners with 4% market access to Canada’s domestic dairy market, and significant changes to Canada’s domestic dairy policies. What is DPAC doing for dairy processors? DPAC has advocated that the final outcome of the negotiations between Canada and its trading partners must contribute to the economic growth of both dairy farmers and processors. 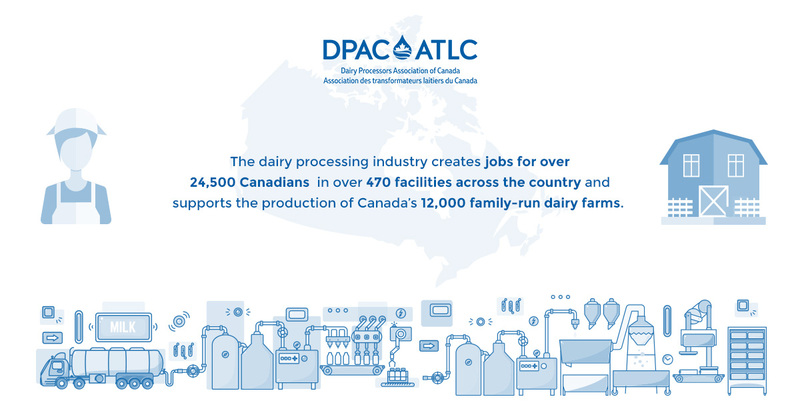 DPAC is currently assessing the impacts of the reported concessions and will work with members, provincial processor organizations and the Government of Canada, through participation in their dairy sector working groups, to determine next steps.